Harold Levinson (Great Neck) - Book Appointment Online! 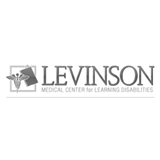 Dr. Harold Levinson, Dyslexia Specialist, applies his groundbreaking medical research to treatments for all patients with related Learning, Attention Deficit, Phobic Disorders with the first and only comprehensive understanding of their currently misunderstood symptoms. Most importantly, new and "highly original" methods of diagnosis have led to a safe, rapid and dramatic medical treatment effective for all age groups. When holistically combined with non-medical therapies, 100% of patients respond favorably. And all begin to feel as smart as they really are. In fact, early medically-based screening and treatment may often prevent the above disorders from arising.